On 13 June 2013, the AeroVelo Atlas was the first to complete a flight that lasted 64 seconds and reached an altitude of 3.3 metres, thus winning the American Helicopter Society (AHS) International's Igor I. Sikorsky Human Powered Helicopter Competition. The American Helicopter Society (AHS) International's Igor I. Sikorsky Human Powered Helicopter Competition was a competition to achieve the first human-powered helicopter flight to reach an altitude of 3 m (10 ft) during a flight lasting at least 60 seconds, while remaining within a 10 m (32.8 ft) x 10 m (32.8 ft) square, and complying with other competition requirements. Founded in 1980, the prize was originally US$10,000, but was raised to $250,000 in 2009. After the increase, two teams – AeroVelo from Canada and Team Gamera from Maryland – raced to win the competition. It was won by the AeroVelo Atlas for a flight that took place on 13 June 2013. 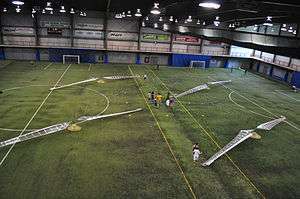 In a ceremony on 11 July 2013, held at the Ontario Soccer Centre in Vaughan, Ontario, the prize of $250,000 was presented. In announcing the award, the executive director of AHS International stated, "We at AHS International congratulate the AeroVelo team on your incredible accomplishment. Like the Wright Brothers, Charles Lindbergh and Igor Sikorsky before you, you have set an aviation milestone that should be forever remembered as a truly remarkable feat of innovative engineering excellence." On 10 December 1989, the California Polytechnic State University Da Vinci III flew for 7.1 seconds and reached a height of 20 cm. The world record for human-powered helicopters was held by a craft named Yuri I, built by a team from the Nihon Aero Student Group. In 1994, it achieved a height of 20 cm for 19.46 seconds unassisted, and unofficially reached 70 cm during a flight lasting 24 seconds. In Japanese, the name Yuri means "lily", a reference to the shape of the machine. The University of Maryland sets an unofficial world altitude record for a human-powered helicopter of approximately 8 ft (2.4 m). Team Gamera was formed at the University of Maryland in 2008 to explore the possibility of a human-powered helicopter that could fulfill the AHS Sikorsky Prize requirements. The team consisted of graduate and undergraduate engineering students, with most original team members affiliated with the Alfred Gessow Rotorcraft Center at UMD. On 12 May 2011, the team's first human powered helicopter, Gamera I, was flown by female pilot Judy Wexler for 4.2 seconds at a height of a few inches. On July 13, 2011, Judy Wexler piloted a slightly modified version of the same aircraft for a U.S. record of 11.4 seconds, but still short of the 1994 Yuri world record. In 2011, Team Gamera designed a new aircraft, Gamera II, with a goal of meeting the 60-second flight duration requirement of the AHS Sikorsky Prize. Pilot Kyle Gluesenkamp set a new certified world record with a flight duration of 49.9 seconds on June 21, 2012 with Gamera II. Subsequent modifications and improvements to Gamera II resulting in Gamera II XR, which made official record attempt flights in August 2012. On August 28, 2012, pilot Colin Gore hovered Gamera II XR for 65.1 seconds at less than 1 ft off the ground, setting a new world record for duration, and achieving the team's goal for Gamera II. On the same day, pilot Henry Enerson achieved an altitude of 8 ft (2.4 m) above ground level, which was the first time altitudes approaching the 3-meter (9.8 ft) prize requirement were achieved. In late June 2013 (after Aerovelo's Atlas fulfilled the AHS Sikorsky Prize requirements), Team Gamera achieved a 60-second, 9.4 ft (2.9 m) altitude flight with pilot Henry Enerson, but required team members to restrain vehicle drifting. Henry Enerson the same day achieved a 10.8 ft (3.3 m) flight that lasted 48 seconds (restrained), which remains as the maximum altitude achieved by the team. An unofficial world record flight duration of 74 seconds was also achieved the same day by pilot Brandon Draper. On September 25, 2013, pilot Justin Mauch powered Gamera IID (another upgraded version of Gamera II) for a certified U.S. record and pending world record flight duration of 97.5 seconds. On the same day, female pilot Kay Tsui set a new U.S. record for a flight duration of 38 seconds. On 24 June 2012, the NTS Works Upturn human-powered helicopter also flew successfully for 10 seconds, climbing to about 2 ft (0.6 m). In October 2012, NTS Works donated the Upturn to California Polytechnic University of San Luis Obispo. AeroVelo is an aeronautical engineering start-up founded by University of Toronto graduates Todd Reichert and Cameron Robertson. The project received its initial funding via Kickstarter. Work on the group's Atlas helicopter began in January 2012. Flight tests began in August. On 28 August 2012, Atlas became the fifth human-powered helicopter to fly. The group experienced two major crashes over the subsequent months as they refined their design. The Atlas, a quad-rotor design, has a 50x50 meter square frame with a bicycle at the center to provide the power to four 20 metres (66 ft) slow-moving rotors at each corner of the frame. Overall, the helicopter is 58 metres (190 ft) wide. Despite its large size, the entire helicopter weighs just 55 kilograms (121 lb). Unlike the Gamera design, power is achieved solely from leg power; it is flown by one person. ↑ "Human Powered Helicopter". AHS International. Retrieved 12 July 2013. 1 2 3 4 5 Jason Paur (12 July 2013). "Canadian Team Claims $250,000 Prize for Human-Powered Helicopter". Wired. Retrieved 12 July 2013. ↑ "AeroVelo Team Wins AHS International's 33-Year-Old Igor I. Sikorsky Human-Powered Helicopter Competition". AHS International. Retrieved 12 July 2013. ↑ "AHS Remarks on Presenting the Prize" (Press release). 11 July 2013. ↑ "Project: Da Vinci III". humanpoweredhelicopters.org. Retrieved 12 July 2013. ↑ "Project: Yuri I". humanpoweredhelicopters.org. Retrieved 12 July 2013. ↑ "Human-Powered Helicopter Flies". Retrieved 12 May 2011. ↑ "FAI Record ID #16230". Retrieved 9 February 2013. ↑ "Gamera I Sets World Flight Duration Records". Retrieved 1 Feb 2014. ↑ "Clark School's Gamera II Sets New U.S. Flight Duration Record for Human-Powered Helicopters". Retrieved 1 Feb 2014. ↑ "FAI Record ID #16616". Retrieved 9 February 2013. ↑ Zap, Claudine. "Up in the air with a human-powered helicopter". Yahoo!. ↑ "UMD Human Powered Helicopter Team Congratulates AHS Sikorsky Prize Winners". Retrieved 1 February 2014. ↑ "FAI Record ID #16616". Retrieved 1 February 2014. ↑ "Upturn has a new home". NTS Works. Retrieved 26 November 2012. 1 2 Jeff Wise (11 July 2013). "Finally! A Human-Powered Helicopter Wins the $250,000 Sikorsky Prize". Popular Mechanics. Retrieved 12 July 2013. 1 2 3 4 5 Alok Jha (12 July 2013). "Helicopter powered by man on bicycle wins $250,000 prize". The Guardian. Retrieved 12 July 2013. ↑ "Atlas Flight Testing Summary 3 Oct. 2012". AeroVelo. Retrieved 9 February 2013. ↑ "Vertiflite, "Human Powered Helicopters Rise Higher"". AHS International. November–December 2012. Retrieved July 12, 2013.